Upon hearing or reading any discussion by Bertrand L. Comparet, one recognizes that he was an ardent student of the Bible and particularly eschatology. Eschatology is the study of the prophecies of the events which have already taken place, events that are now taking place and the events that are yet to take place in the future. Mr. Comparet was an ordained minister. These printed studies are copies of radio broadcasts done in the 1960s and early 1970s. His studies, in this area of thought, have extended over a period of more than 40 years, having started in 1933. One will also appreciate his straight forward manner of factual presentation and logical thinking. This was due to his professional training and occupation as a well known Attorney at Law. He not only writes in a clear, convincing style, but is distinguished in the pulpit, on the lecture platform and over the radio. He is known for his clarity of thought and profound logic. He was married to Inez Comparet for many years and she aided him in his research. They worked in wonderful harmony together. Bertrand L. Comparet was a native Californian, born in San Diego. He was graduated from Stanford University with the degrees of Bachelor of Arts and Juris Doctor. He was admitted to the California Supreme Court or California Bar in 1926 and by the United States Supreme Court in 1956. From 1926 to 1932 he was Deputy District Attorney for San Diego County. From 1942 to 1947 he was Deputy City Attorney for the City of San Diego. He thereafter engaged in private law practice until 1968, when he retired to devote full time to the Kingdom Identity message. 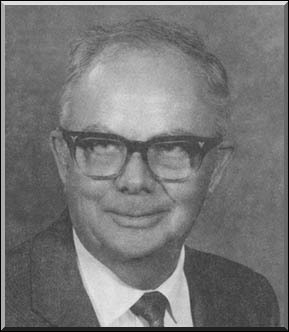 In 1976 Bertrand L. Comparet received a Doctor of Divinity degree in recognition of his tremendous output of important writings on Biblical and historical matters. Bertrand L. Comparet returned to the Father in August 1983, Inez had preceded him several years earlier. Inez and Bert Comparet are lovingly remembered. They were both true credits to their Israelite heritage. [Jeanne W. Snyder, a personal friend of Bertrand and Inez, has also passed on to her reward. Jeanne Snyder, a long-time personal friend of Bertrand Comparet, was also a dear friend and correspondent of mine for several years towards the end of her life. She had at one time transcribed all of Comparet's papers and distributed them in print form to various ministries. The typed editions found here were scanned from Jeanne's work and edited by Clifton Emahiser, because Jeanne had not supplied the electronic copies of her transcripts. Some of the PDF files may be from other sources, however most of them were also supplied by Clifton Emahiser. Clifton then added a lot of critical notes, from my own writing as well as his own. For that reason many of these papers are also available at Clifton's website, at http://emahiser.christogenea.org. We will supply other materials from Comparet from other sources as we locate them and verify their sources. Jeanne Snyder went to Yahweh's rest on December 26th, 2006. May Yahweh keep her soul! Usually, I have talked to you about the things that belong in your Bible, but which didn't get there because the translators changed them or left them out. Now I am going to reverse that: I am going to talk to you about something they left in your Bible which doesn't belong there: and that is the Book of Esther.